[showmyads]It has been reported that a new version of the Windows 8 operating system could shut down out browser likes Mozilla Firefox and Google Chrome. According to Microsoft x86 app will not run on Windows 8 on ARM and they also mentioned that there will be no third-party code on Windows 8 ARM. They also said that there is no plugins or IE on Windows RT as well as No Firefox n or Chrome. 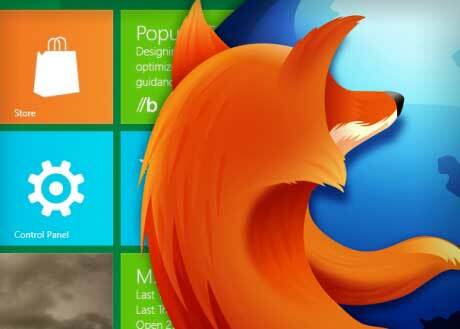 Mozilla, the makers of Firefox sad that, Microsoft is planning to allow only web browser and that is Internet Explorer which is their own product. He mention on Mozilla Blog Microsoft is trying to ban all other web browser on their Windows 8 RT and also mentioned “an unwelcome return to the digital dark ages where users and developers didn’t have browser choices.” Microsoft didn’t say anything about Mozilla’s accusations. But the fully featured version of Firefox will be allowed to install on Windows 8 tablets which is Intel-based. There is only problem with one version of OS Window RT, other will support Mozilla Firefox and chrome too. This can’t be true, because they will be sued regarding free internet. Already microsoft had to pay plenty of money due to the fact that their default browser is IE and doesn’t actually allow users to pick from a variety. Imagine if IE will be the only browser available, then most probably windows 8 will be the fall of microsoft.